Beans are cultivated a little differently, depending on the characteristics of the cultivated variety. Bean varieties can be simply divided by the size of the plant into two groups: dwarfs and pickers. Both groups can be subdivided by the color of the grain into red, white, black beans, and so on. Bean varieties can also be classified after the productive cycle in early, semi-early and late beans. 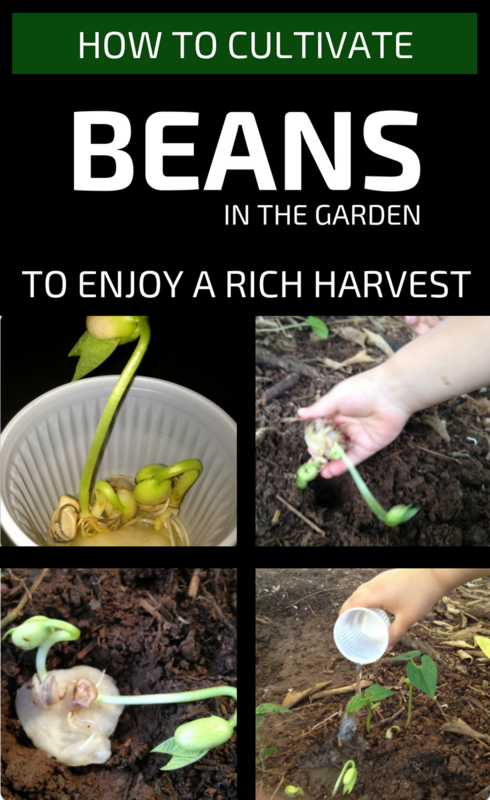 Beans are grown well on a medium-sized texture land worked deep, in autumn. Beans don’t adapt to cultivation on compact, clayey and limestone grounds, generally don’t adapt to soils with poor permeability. Neither the cultivation of beans on sandy earth will ensure good production because lack of water has a negative effect on production. Beans can be cultivated after all vegetables, because it’s a plant with which to start a new cycle of crop rotation. It’s not good to grow beans after peas or cucumbers because there is a risk of rotting. Beans can be grown together with red beet, cabbage, lettuce, tomatoes and radishes. Good beans don’t work well with garlic or onions. Beans are grown on ground prepared in autumn, sown at the beginning of May, in nests of 3-4 seeds at a depth of about 3 centimeters. Before sowing, the beans must be soaked for 12 hours, so soften the skin and promote germination. The distance between the rows is slightly different depending on the cultivated variety, the dwarf beans can be cultivated respecting a distance of 60 centimeters, and between plants on each row, at about 10 centimeters, the growing beans are grown, leaving between the rows a distance of 1 meter and between plants a row about 20 centimeters. The growing of bean varieties must be provided with a wooden stick or support structure with a height of at least one and a half feet. Beans make good use of organic fertilizers for pre-emergence crops, so no soil fertilization is required in autumn. An important work in bean cultivation is crossbreeding to eliminate weeds and favor air circulation at the root level. If possible, the beans should be irrigated immediately after sowing and when flowers and fruits appear. Harvesting is based on consumption needs; you can harvest pods, grains that have not yet matured, or mature berries.